Meghan was not scared. That is just how she looks when she has to smile on command. 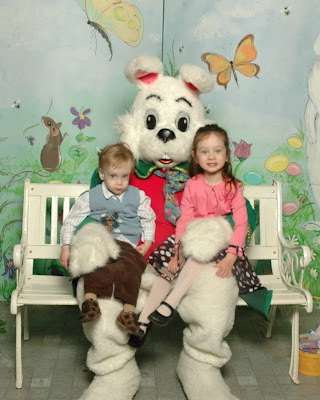 As for Sean, the kid refused to smile until he got a high five from the bunny on our way out.